After booting the game up for the first time in a while, I was reminded how much I love Splinter Cell: Conviction. Playing through the opening chapter, re-familiarizing myself with the controls and game mechanics was like sliding back into routine. I remembered where enemy positions were, how far their line of sight was, and the perfect spots to maximize my aggressive, yet stealthy style of play. Conviction is one of my favorite games of all time, and truly the only reason I ever wanted an Xbox 360. For the uninitiated, Splinter Cell: Conviction follows Sam Fisher, an ex-special ops agent hunting down the people who killed his daughter. It’s an intense story-line, driven by raw emotion and great writing. Ubisoft showed us a different side of Sam Fisher than we had seen in prior games. This Fisher is uncaged, and slightly unhinged. The sheer brutality of his action and how much he really doesn’t care about who he has to hurt is a definite change from the cold, calculating, and efficient stealth killer from the previous four games. 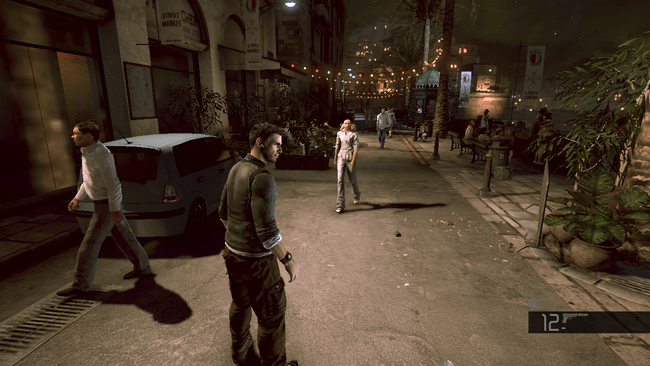 For some, this wasn’t a welcome change, as this new demeanor led to some fairly large changes in the style of gameplay. This game kicks off the more action oriented entries in the franchise. This isn’t to say it can’t be played fully stealth, as I’ve ghosted sections easily, but they definitely put you in more lethal situations in Conviction than in any other entry in the franchise. The only sequence that you are forced to go full force is a flashback in Iraq. All of that being said, I do very much enjoy the action oriented stealth. My play style in most stealth games is what the Splinter Cell franchise refers to as “Panther.” I generally play lethal, but I don’t force myself into all-out combat situations. If I can stealth my way through a section, I definitely will choose that to the alternative, but if need be, I’ll take down anyone I have to if I wind up having to go “loud”. The older games in the franchise don’t really support this style as much, they more lean into completely ghosting and no-kill requirements. Don’t get me wrong, I enjoy that type of stealth too, but I like moving more fluidly. Ubisoft added one of the best cover systems around in this game, which requires you to hold down LT when you approach a wall or barrier, and allowing you to move from cover to cover with little more than a button press. This keeps Sam moving throughout the environment, from kill to kill, in the most efficient way he can. The shooting also takes on a much more logical control style, allowing you to make the most of combat engagements. In previous games, the shooting wasn’t particularly well handled, but that wasn’t the point of the older games so I understood that. This is one of the aspects that some Splinter Cell die-hards don’t like, because it could make the game easier and more casual. That’s a fair assessment, but I think what keeps this game fresh for me, and keeps it challenging, is the level design. The level variety is great, from a museum to the Lincoln Memorial, to the Washington Monument and the freaking WHITE HOUSE. The environments they put you in can definitely change how you play, from using platforms and pipes to get above your prey, to utilizing ledge/window take-downs to thin the herd. There’s plenty to play with, and while its stripped down from something like, say, Chaos Theory, its got enough options that you don’t feel like you’re playing the same section over and over again. Touching on the story again, this is one of my favorites told in a video game. For one, its incredibly cinematic; the camera angles, the acting is top notch, and the script is excellent. Michael Ironside commands the screen as Sam Fisher, and watching Fisher as he learns about his daughter’s death, about all the lies he’s been fed, the reasons why he was lied to, and how the people he thought he knew are not what he thought they were is an engrossing narrative. Couple that with an overarching terrorist plot that Sam has to stop, and Conviction is nothing if not incredibly compelling. Like I said, the story brings context to the game-play changes, the same way that the narrative changed (more subtly, I’ll admit), how we played Double Agent. Conviction follows a Sam Fisher that isn’t constrained by an agency, by superiors, by rules, or by his own self-restraint in many ways. He’s a father out to get those who killed his daughter, but partway through the opening hours, a revelation hits that changes the perspective completely; Sam discovers that his daughter, Sarah, is not dead. Now it becomes about a father trying to get back to his daughter in the midst of a terrorist attack, essentially perpetrated by the agency which employed him, Third Echelon. This type of narrative and motivation for our hero should change how we play, because its changing how Sam would operate. This also lends to the incredibly brutal interrogation sequences, essentially, interactive cut-scenes that allow you to use the environment to beat the truth out of enemies. 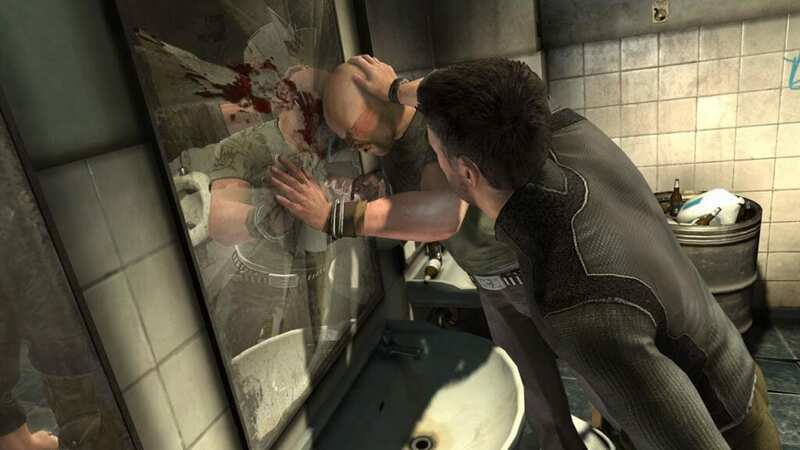 It’s not a new concept, as games like The Punisher did this as well, but Conviction handles it with cinematic grit. The opening one is my favorite, as I remember it being the first demo they showed off at E3, and it set the tone for the rest of the game. One of the biggest game-play changes that fans are really torn on is the Mark and Execute system. This system allows you to mark enemies and then take them out with one button press after a hand to hand take-down. I’m of two minds on this system; for one, it looks super cool and showcases why Sam Fisher is one of the biggest bad-asses in gaming, but it can definitely make things easier for the player. I wouldn’t necessarily call it a win button, because you do have to earn the ability to perform it, but you can definitely thin out a room much quicker with it. I don’t think it ruins this game or Blacklist because, in all honestly, you could just not use it. It’s not something they force you to use beyond the tutorial. 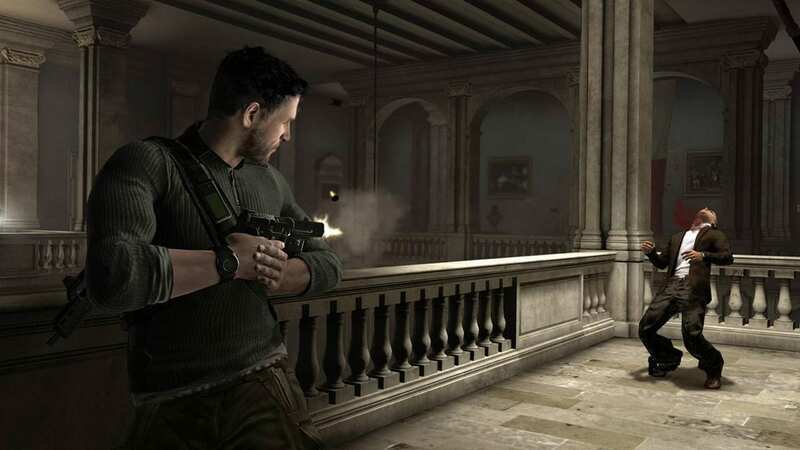 The sound and music in Splinter Cell: Conviction is excellent too, even beyond the voice acting. The guns sound nice and punchy, the explosions sound suitably awesome, and all the violent sound effects are grisly. The music, composed by Michael Nielson and Kaveh Cohen, is gorgeous. From sweeping emotional music to some of the most heart-racing combat tracks, it really kicks the game into high gear when the bullets start flying or you’re skulking around in the environment looking for a neck to snap. Aside from the single player, there’s a full co-op campaign and Deniable Ops, which gives you a terrorist hunt mode. These modes definitely kept me up into the wee hours of the morning with friends. As an added bonus, you don’t have to play these online, because Conviction has split screen! Splinter Cell: Conviction is an excellent stealth-action game, with tight game-play, and a fantastic and gripping narrative. I wholly recommend you pick this game up. That’s what I’ve been playing lately, but what about you? Let me know in the comments below! Stay nerdy everyone!